PIKETON, Ohio -- It wasn't a Mexican drug cartel. The killers weren't from another country. 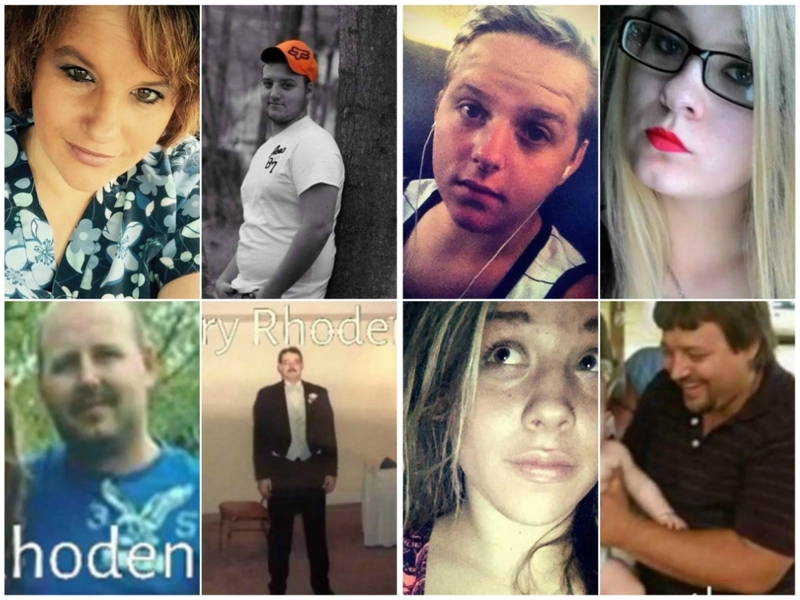 The people who wiped out eight members of a family in Pike County last April are likely locals. At least, that's the theory Pike County Sheriff Charles Reader is leaning toward. For the first time since the killings, Reader recently sat down with a reporter to discuss the investigation at length and in depth. Police said they found marijuana at all of the crime scenes except Dana's house. Reader said some of the victims were selling it. Tim Reagan, head of Cincinnati’s Drug Enforcement Administration office, said he's confident that's not the case. "I think if there was a strong Mexican cartel connection I'd feel more comfortable with telling you,” he said. “I don't see it." And Dana's father, Leonard Manley, agrees with that theory. "Whoever did this had to know the dog, had to know where the security system was," he said, referring to Gary's house. Memories are all that's left on Union Hill Road, where Dana Rhoden's home once stood. Dana -- along with 19-year-old Hanna and 16-year-old Christopher Jr. -- were found dead in that home in the early morning hours of April 22. Hanna's 5-day-old daughter was found safe, lying next to her in bed. Just after dawn, Dana's sister made a call for help from a trailer a mile-and-a-half away. "There's blood all over the house," she told a 911 dispatcher. "My brother-in-law is in the bedroom. Someone beat the hell out of him." Dana's husband, Christopher Rhoden Sr., and his cousin, Gary Rhoden, had been shot to death there. Chris and Dana's oldest son, Frankie, and his 19-year-old fiancée, Hannah Gilley, were shot and killed in their bed in the trailer next door. Neither the couple's 3-month-old son, nor Frankie's 3-year-old son were hurt. Kenneth Rhoden, the brother of Christopher Sr., was also found shot to death in a trailer on Left Fork Road several miles away. Sheriff Reader and his team quickly realized someone had targeted the Rhoden family. Autopsy reports show the victims were all shot execution style. Christopher and Gary were also beaten. "It was one of the awfulest things I've ever seen," Reader said. A homicide investigation of this size isn't without its ups and downs. Sheriff Reader recently faced scrutiny for moving the Rhoden family trailers 20 miles from where the slayings happened. The homes are now at a storage facility near his office. May 12, 2016. 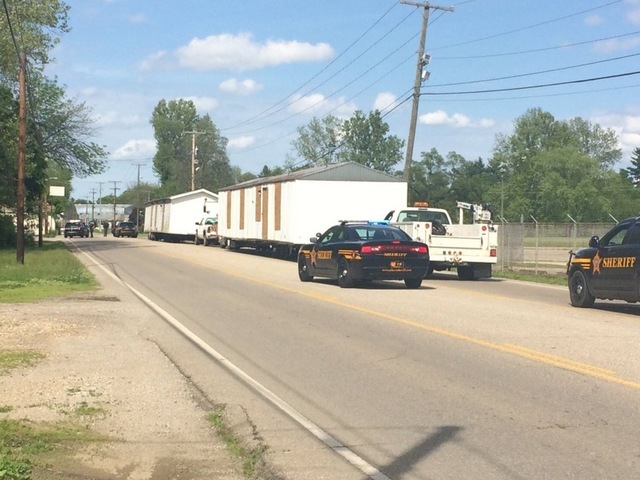 Authorities relocated mobile homes where members of the Rhoden family were shot and killed. Despite concerns, Reader said the trailers are safe there. He provided WCPO's I-Team with radio records indicating that deputies check the property hourly. "If anyone would like to attempt to climb the fences and be to the property in 20 seconds, they'll end up going to jail and may meet officers that they've never seen," Reader said. Surviving relatives of the Rhoden family have also voiced frustration. Leonard Manley said he's upset the sheriff is not keeping his family in the loop. Manley said police once treated his family as suspects. Investigators took DNA samples from him and had his daughter take a lie detector test, he said. With the focus now zeroed in on locals, Attorney General Mike DeWine said investigators have reconstructed every aspect of the victims' lives. But it's still not clear if they've identified a suspect. "I'm not going to say more than that," DeWine said. "What I am going to say is that someone who will be watching this today knows something that will be helpful to us." Records show none of the victims had criminal records. Reader said some of the family was involved in two fights not reported to police before the murders. "Someone...watching this today knows something that will be helpful to us." "It wasn't because they had a couple of little indoor grows. It wasn't because there was just a couple of cars on the property that may have been stolen," Reader said. "It's much bigger than that." Crime Stoppers is still offering a $10,000 reward to anyone who comes forward with the tip that breaks the case. Reader said he's also willing to talk to the prosecutor about not arresting anyone who comes forward with information about the murders for other crimes they may have committed. The sheriff said he's ready to work with a special prosecutor to start the process of returning some of the victims' property back to surviving family members. But the trailers, and what's inside them, will stay locked up until a trial. Authorities ask that anyone with information in this case call 855-BCI-OHIO, or the Pike County Sheriff’s Office at 740-947-2111.